The first year of operating a Health Sciences Academy at MHS has been a huge success, and plans are underway to extend the initiative in 2016. The academy commenced with Year 11 students, and in 2016 will include both Year 11 and Year 12. A prize giving for Health Sciences Academy students was held recently (read the prize winner list here), and lead teacher Nicole Stevens plans to add more special events in 2016 to develop student achievement. One of her plans is to bring in guest speakers twice a term during tutor time, and she hopes that alumni and whanau working in the health sector will be keen to contribute to these sessions. “We want to create something special for students that makes being part of the Health Academy both interesting and enjoyable, as well as being a pathway to great careers,” Nicole says. 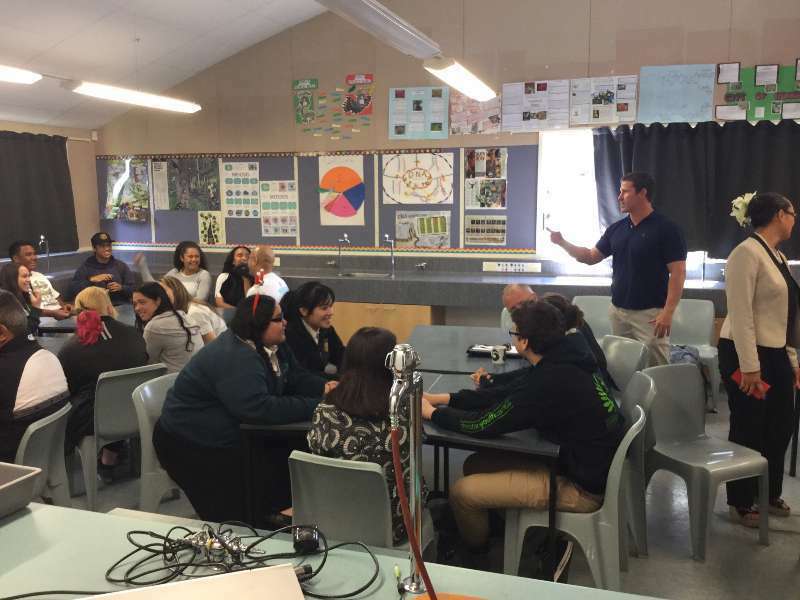 A key project in the Health Sciences Academy this year was the opportunity for students to participate in a community-based research project with Landcare Research. This involved the collection of mould from homes, which they then analysed in the Landcare laboratory. As well as moulds, the students’ data collection also identified the presence of yeasts that could cause disease. 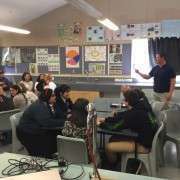 Organised by Science teacher Nick Pattison at Rongomai Primary School in Otara, the project involved collaboration by our two schools and a range of science and community groups. The results of the research gained national and local media attention (see below). “The key message is that mould can grow in any home anywhere in New Zealand,” Nick says. 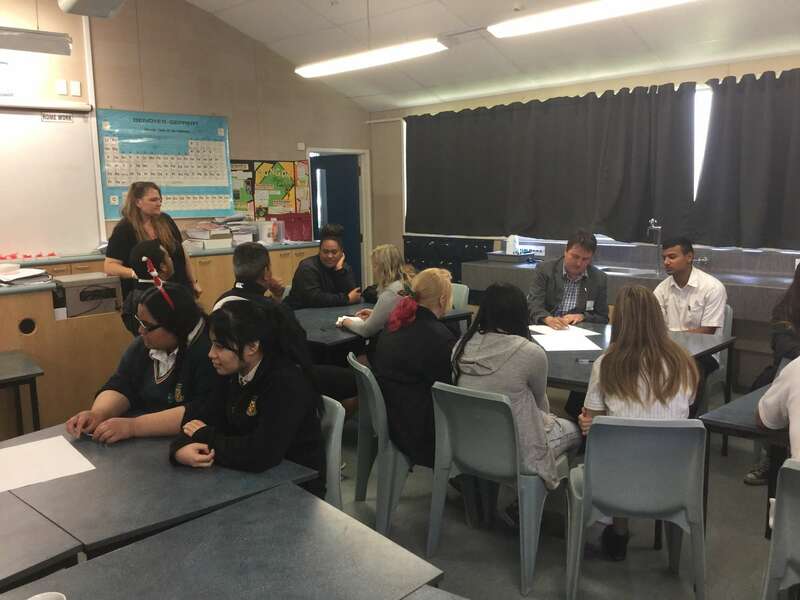 All of the groups involved had their final meeting today at MHS, which included the MP for Manukau East, various scientists, a representative from the Prime Minister’s Science Office, and students from both MHS and Rongomai. They heard from a building and engineering consultant about ways that homes could be made healthier, and worked together on ideas to promote these solutions to the community. Manukau East MP Jenny Salesa told the group their research was valuable and would help to inform health policy. Polythene over the ground, underneath the house piles. Wiping condensation off windows each morning. Extractor fans in the bathroom and the kitchen. Opening windows as much as possible. Thick insulation in the ceiling. Showering at night when you can leave the window open. The various groups involved in the project hope to continue the study next year. Nicole says it will become a standard task in the Year 11 programme.